Aug 02, 2012 in "Splitsville"
Disney has today released some new concept art showing for the first time the interior of the upcoming Splitsville. You can also see the latest construction photos. 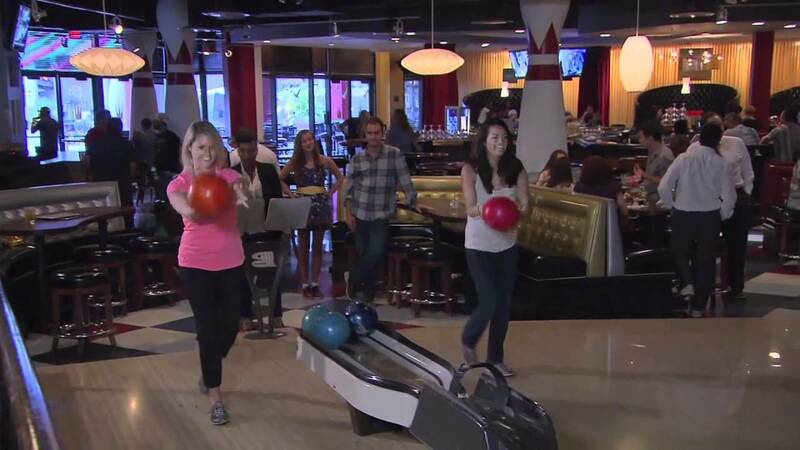 The age-old image of bowling is about to change with the new opening of Splitsville, America’s Bowling Alley, at Downtown Disney West Side this fall. Placing a whole new spin on the bowling experience with its emphasis on unique design, Splitsville will greet guests with upscale sushi bars, plush booths and dynamic decor overlooking the bowling lanes. Between strikes and spares, guests can feast on menu items including hand-tossed pizza, fresh-rolled sushi, grilled mahi-mahi with “Voodoo” shrimp and hand-cut filets alongside alley-classics such as cheeseburgers and crinkle-cut fries served right at the lane.